Polish Independence Day celebration. 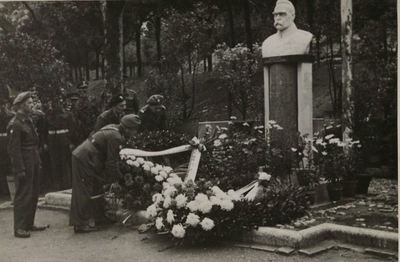 Colonel Bolesław Ostrowski, Commendant of Rome, laying a wreath at the statue of Józef Piłsudski in Rome, Italy, November 11, 1945. Also in photo, Captain Miecznikowski.